Retire to Yuma, a retirement choice known to RVers and Marines for many years. What most folks do not realize, is that Yuma is the third fastest growing region in the country... Behind only Las Vegas and Naples Florida. Yuma is is located in the southwest corner of Arizona, close to the California border, and almost equidistant between Phoenix and San Diego. It is the third-largest city in Arizona behind only Tucson and Phoenix. 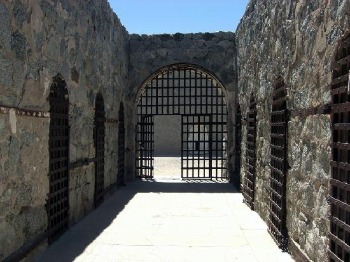 One the main tourist attractions available to those who retire in Yuma, is the territorial prison... Remember Arizona became a state in 1912, before that it was a US territory. From 1876 to 1909 this is where the bad boys and girls were sent...over 3000 prisoners were incarcerated in the prisons 33 year lifespan. It's reputation as a cruel and harsh place...as prisons are meant to be...was probably attributed to the fact that it was so hot in the summer. Yuma is the hottest city of its size in the US, July temperatures averaging 107. It produces more winter vegetables than any other place in the country. Rick break It is 5 miles to Algodones, Mexico a common destination for retirees that want to save on eyeglasses, prescriptions or dental work. Yuma has 60,000 year-round residents, double or triple that in the wintertime. 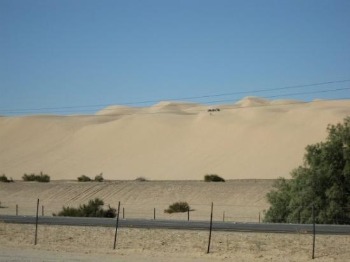 if you are coming in to Yuma from California on Interstate 8 , you cannot miss, the Imperial Sand dunes, and the ATV enthusiasts, who play on the dunes, created by the wind, and range up to 300 feet in height. There are several companies that offer dune buggies for rent, this may be a popular diversion for the grandkids when they come to visit...funny how that seems to happen in January or February. Part of the dunes are restricted to ATVs by the BLM... But with over 40 miles of dunes you can find someplace to enjoy yourself if ATVing is your thing. You may have gotten the idea to retire to Yuma from your RV travels, there are quite a few RV parks that cater to snowbirds in the winter. Or it may have been from your service at the Yuma Marine Core air station, the busiest Marine airbase and the third busiest in the Navy. However you got the idea, retiring to Yuma appeals to a certain type of retiree...come on down and see.